Adult Swim will hold their first music festival in Los Angeles later this year with hip hop masters Run the Jewels. The announcement came today along with a Run the Jewels music video starring Rick and Morty in a Quentin Tarantino, Men in Black, and Star Wars influenced mix of weirdness. The Adult Swim Festival will take place October 6th and 7th in the industrial section of downtown Los Angeles. Musical and comedy acts will perform on two main stages, with other booths, attractions, and experiences ready to greet fans of the network. The festival is said to be a meeting of different cultures and in addition to music, fans of Adult Swim will also get first looks at new pilots and exclusive merchandise. Basically, Adult Swim has started their own convention and it's shaping up to be pretty awesome with Run the Jewels already on board to headline one of the nights. No other acts of been announced as of this writing. Jill King, SVP Marketing and Partnerships for Cartoon Network, Adult Swim, and Boomerang had this to say about the festival. "Adult Swim already does television like no one else. Now it's time to bring that same unique approach to a one-of-a-kind festival experience. The Adult Swim Festival will feature everything fans love about us... great shows, cutting edge music, and a passionate community to enjoy it all together." To promote the Adult Swim Festival further, the network released the Run the Jewels video for "Mama," featuring Rick and Morty. As previously mentioned, there's some Tarantino vibes mixed with Star Wars and Men in Black as Rick and Morty end up in another dimension, violently blasting alien-like creatures. They're there to extract an alien embryo from a twisted night club that they leave decimated. There's some hilarious parts and it ends with a mystery, with the ever-drooling Rick staring down at what he's liberated. A limited amount of "Early Bird Passes" for the festival are currently on sale via the Adult Swim website with the official sales starting in May for either single day, or weekend passes. October is the perfect time to hold the festival in the Downtown LA area and is well after the summer crunch of music festivals. However, they still need to add in the rest of the comedians and bands that are playing to gauge just how successful the event will become. 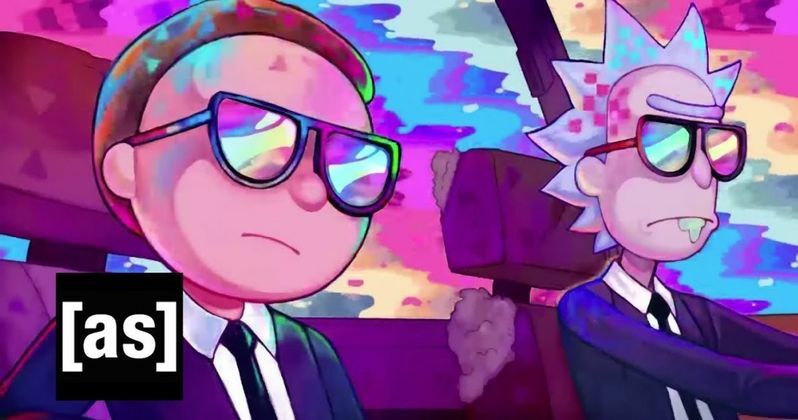 For now, Rick and Morty fans along with fans of hip hop group Run the Jewels, will have to check out the NSFW video to hold them over until the Adult Swim Festival makes its debut. While a lot of the main details aren't clear at this time, you can imagine that Adult Swim is going to offer up something pretty unique to their fans as well as the casual fans who will go for the music alone. You can watch the video below, courtesy of the Adult Swim YouTube channel. But again, it is NSFW.